Life-size replica of cars in LEGO is becoming old. 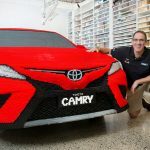 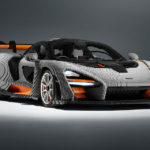 On our end alone, we have already come across quite a handful, including Nathan Sawaya’s Batmobile, a 2-ton Toyota Camry, and a LEGO Technic-based Bugatti Chiron. 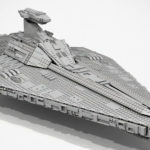 Though the latter did stood out as a life-size replica that is actually drivable, albeit very slowly, and not a mere sculpture. 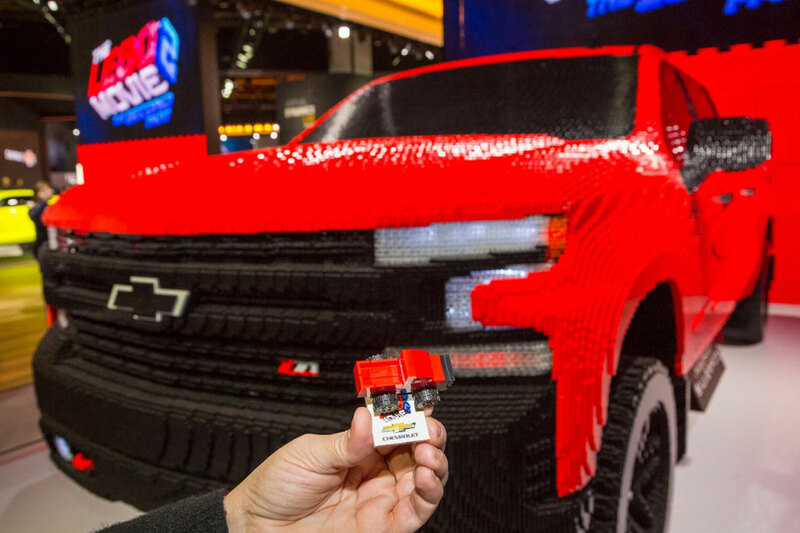 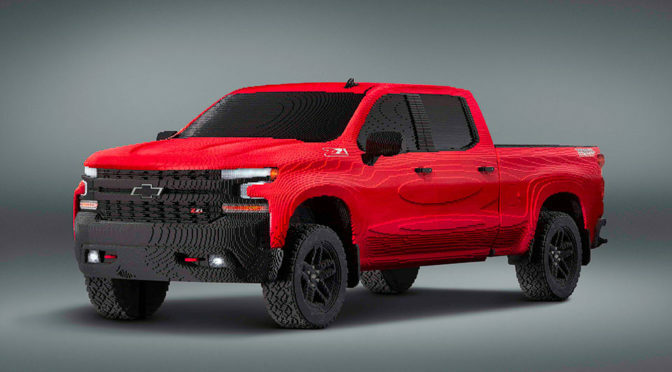 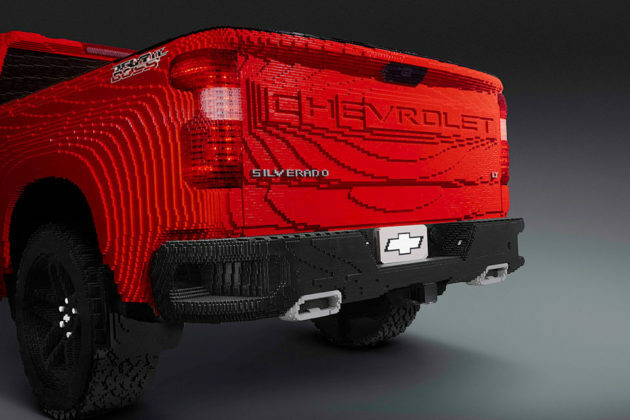 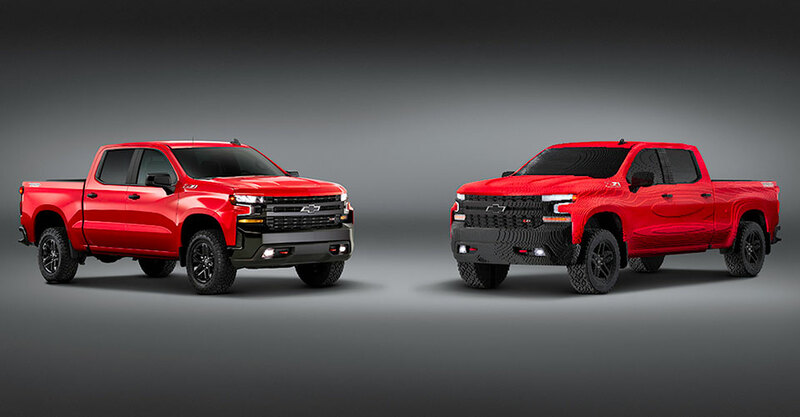 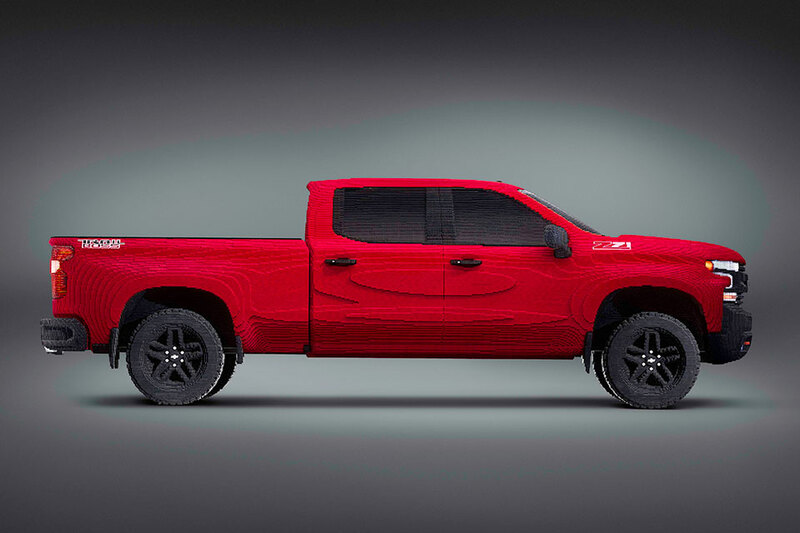 Speaking of life-size replica of cars in LEGO and sculpture… here’s another: a Full-size LEGO 2019 Chevrolet Silverado. 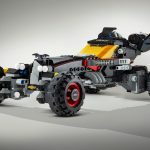 If you recall, in the first The LEGO Movie, LEGO Batman was rocking a LEGO Batmobile from Chevy which the automaker also commissioned a life-size replica of it which debuted in 2017’s NAIAS. 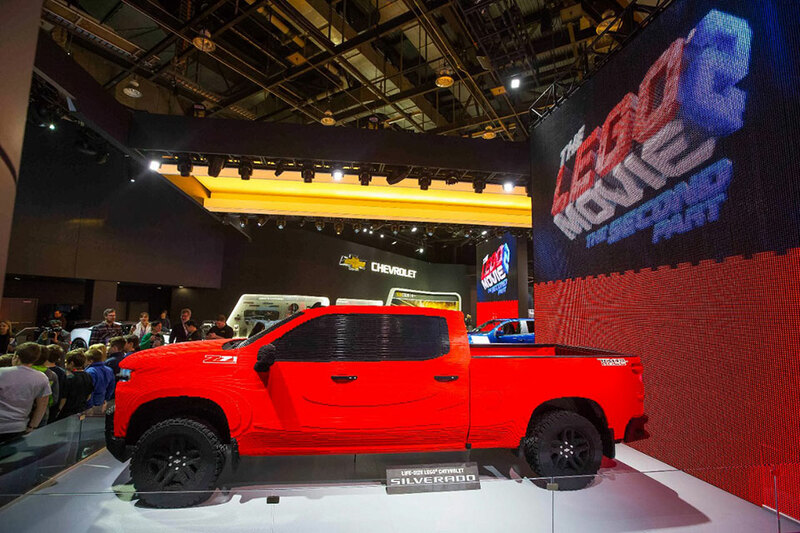 Anyways, this time, Chevy is not involved in Bat’s ride; instead a custom mini-build of the Silverado High Country in The LEGO Movie sequel. 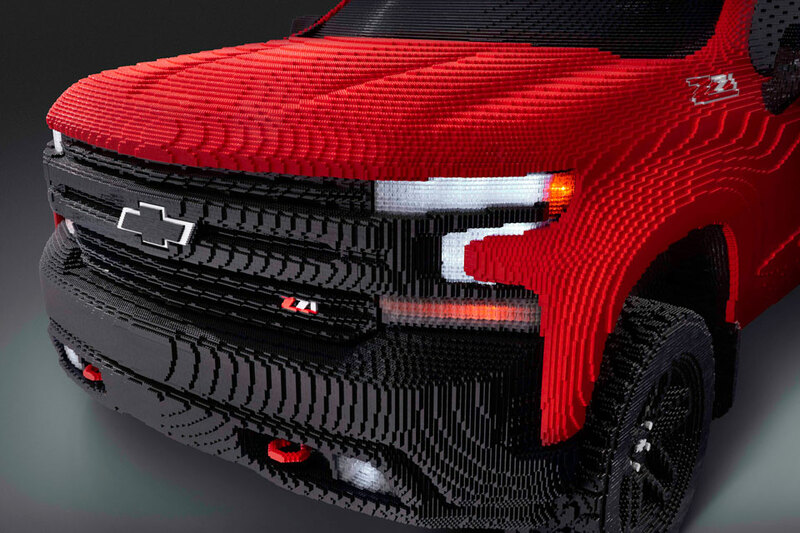 All images courtesy of Chevrolet/General Motors.